Without fear of contradiction, artificial intelligence will take over the world, even if not soon but sometime in the future. We have parents who grew up as kids in the late 80s and 90s; then technology was no so advanced. They never had a chance to play video games or own mobile phones. But here we are, the technology era. Everything is technology and technology is everything. We are living in a world where we can barely do things on our own. From washing clothes to cooking, name it. We are raising a society that if time travel is real, can’t and won’t survive the early 90s ways. But all said and done, here we are, in the modern world. Everything is technology. But the most exciting bit is the development of artificial intelligence, or well put, smart technology. We are heading to a time where you will be sitting at the comfort of your home and get things done by the snap of your finger. All those fantasy and sci-fiction movies were all but prophecies soon to be accomplished. Here are the Top 5 Trends and Expectations from Artificial Intelligence in 2019. I remember watching self-driven vehicles in science fiction movies. Now it’s here with us. Imagine getting into your car, giving it instructions, and it drives you to wherever place you want to go. Uber launched semi Self-driven vehicles in 2018 aided by Google. The project was slightly put on hold after a fatal accident happened. We expect them to resume the program again this year, having addressed the challenges they faced last year. Many large companies and businesses have already incorporated the idea of virtual agents into their online platforms. These virtual agents provide answers to customers; they also direct customers and help them make orders. The year 2019 is expected to be a breakthrough year, as many companies will adopt this idea. Businesses are expected to not only create chatbots but create virtual agents who will have real faces and personalities to handle customers. For example, Autodesk has a virtual agent known as Ava who is a female virtual agent, research paper helper Copycrafter assists in picking paper type, subject and academic level for you to order. 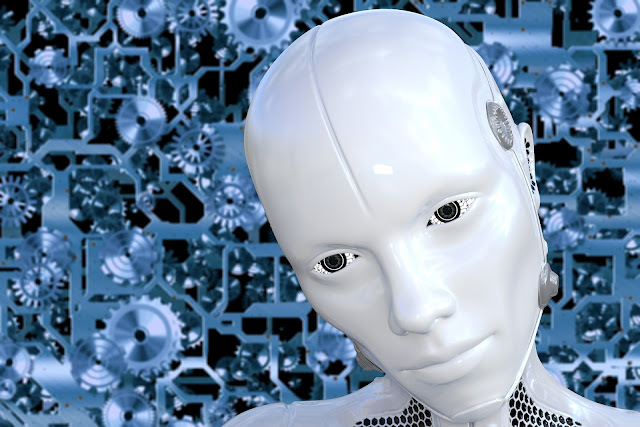 Many companies are expected to develop human-like virtual agents. Many online shops always recommend “related” products based on what you previously browsed or purchased from them. Brace yourself for smart recommendations in 2019. Artificial intelligence will make it possible to recommend products by analyzing your browsing history and sentiment analysis. Alexa amazed many Amazon customers. It made things easy for many customers. Brace yourself for more in 2019. Giant brands like Hisense, TiVo, and Sony have made TVs that can be operated by voice to help people control them easily. Many home appliances are also being equipped with this A.I. I see many companies adopting voice recognition technology. Cybercriminals have been targeting cloud infrastructure, SaaS (software as a service) platforms and the internet poses a serious risk to many businesses. In 2019, I expect artificial intelligence will be able to fight off cybercriminals and hackers. Companies like Darktrace have developed artificial intelligence that’s able to identify cybercriminals in real time and deal with them before they bring any harm. And it is poised to get even better in 2019. It will be much easier making an order online. Companies will have low operating costs. Cost of production will also be low. Introduction of AIs that can detect cybercrime in real time will ensure safety in doing online business and transactions. People will have more trust that online business and transactions are safe. When more tasks are being done by AI's, there is no need for human workers. Say, for example, virtual agents. If you invest in technology, you don’t need a human agent; it will be duplication. Voice recognition can be essential for students with eye problems, and those who don’t have limbs. If we can get AI's to do things for us, it means a simple life. You get into your car, and it drives you to your workplace. That is fun, right? At some point in life, we shall become zombies. Everything will be done for us by AIs. That’s where we are heading as a human race. And sadly, it's inevitable. Although it will take time, but am sure the future generations will be more zombies than us.